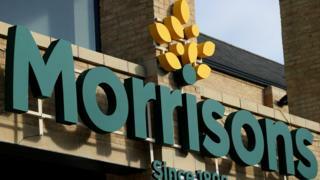 Morrisons said it believed it should not have been held responsible and would be appealing against the decision. The case follows a security breach in 2014 when Skelton, then a senior internal auditor at the retailer's Bradford headquarters, leaked the payroll data of employees. He posted the information - including names, addresses, bank account details and salaries - online and and sent it to newspapers. Skelton's motive appeared to have been a grudge over an incident when he was accused of dealing so-called legal highs at work. At the High Court hearing sitting in Leeds, the judge, Mr Justice Langstaff, ruled that Morrisons was vicariously liable, adding that primary liability had not been established. She argued the extent to which an employer could be held liable for the criminal misuse of third-party data by an employee was of "huge importance" for individuals, businesses and organisations. Following the ruling, Nick McAleenan of JMW Solicitors, acting for the claimants, said the leak had caused them "significant worry, stress and inconvenience". He said: "This private information belonged to my clients. They are Morrisons checkout staff, shelf stackers, factory workers - ordinary people doing their jobs.